Looking For New or Used Engines or Spares? In search of used car engines for sale? Or perhaps you are looking for a specific car parts? Let us assist you in find that part or engine quickly & effortlessly! As soon as you call us or submit your query using our online form, your request will have be sent immediately onto a large network of scrap yards, engine re-manufacturers, auto salvage yards, engine importers and junkyards. Using our online contact form, simply choose the relevant vehicle brand and enter the details. Whether it be a BMW, Toyota, ISUZU, Opel or anything else, once you submit the form, just sit back and wait for quotes to reach you via email or phone. One Enquiry Contacts ALL Suppliers! I am looking for a Kia Rio 1.4 engine for a 2012 model sedan. There are a number of reasons you might need an engine for your car. You could have been in an accident, the engine might have seized, a cylinder head gasket blown, or many more. When your car is your only mode of transportation, you need to get a new engine quickly so you can get back to normal life. Engine Finder can help anyone living in South Africa quickly and easily find an engine for their car. Regardless of the make or model, we can help you search scrap yards and motor spares companies throughout South Africa to find exactly what you need. We have a large network of scrap yards, engine importers and motor spares companies throughout South Africa. This means one enquiry submitted to us will go out to all of them. This saves you the time of trying to contact multiple suppliers individually on your own. This also means that you’ll have better luck finding the engine you need. On your own, you’ll likely only call the places that are local to you. With Engine Finder, you can find the engine you need hundreds of miles away, even if there were none local to you. There are no middle man fees with Engine Finder. Engines for sale are for sale from the supplier, and you’ll make your purchase directly from that supplier. No markups, no extra handling fees, so the price you’re quoted is the price you’ll pay. Whether you’d rather talk to someone on the phone or get several emails that you can print out and review side-by-side, you’ll get multiple quotes from suppliers via phone or email. By getting multiple quotes, you can ensure that you get the best deal so you can get the engine you need and get your car repaired. We make it easy to find engines for sale all over South Africa. Making an enquiry is also easy: just fill in a few simple fields in the enquiry form (all information that you’ll either know or be able to easily find on your engine), and click submit. In a short time, you’ll begin hearing from suppliers who have exactly what you’re looking for. We have all the major car brands, making it easy to find the engine you’re looking for. Save time and money by accessing our vast network of suppliers to find the engine you need without having to go to each scrap yard yourself. Don’t have a car? Looking for an engine for your truck, boat, or airplane? We can help with that, too. We’re happy to assist you with any kind of engine you might need. Engine Finder will instantly connect you to all of South Africa’s engine suppliers. Give us a call or fill out our enquiry form today to find the engine you need! New or Used? What to Buy? Is your engine in your car starting to give you problems? Perhaps you are thinking of purchasing a used car engine or maybe a remanufactured one? The engine is obviously the most important and most expensive part of any car. Vehicle owners are sometimes unsure if they should buy a used engine to save some money or buy a remanufactured engine. All vehicle owners understand, that as time progresses engines and parts will eventually wear out and start to give problems. From a malfunction or a result of an accident, a crucial decision must be made for you to get your car back on the road. Unfortunately, most mechanical parts will require replacement or repair. This is where Engine Finder can help you make this process as quick and as painless as possible. 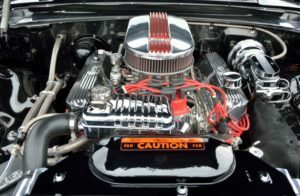 Deciding on whether to buy used imported engines, or a remanufactured one, most people tend to get a little bit confused. Some people think that buying a used car engine is crazy while others think that this is a very great way save some money. Some car owners advise that you buy a second hand engine because it has been already used on the roads instead of remanufactured ones. Other car owners will recommend buying a remanufactured engine since it will save you more cash down the road in terms of duration and repair. Don’t forget remanufactured engines come with a warranty that’s much longer than used engines. Only you know your situation, and nobody can give you advice on whether you should buy a remanufactured engine or a used engine. We understand that you want to make the best decision and that is why we created this post to help you make a informed decision. This article we will be covering what one needs to know about remanufactured or second hand engines. Used engines are a more in demand simply because they are a lot cheaper than buying a remanufactured car engine. This is for car owners who are on a tight budget but still need a quality engine. Remanufactured engines are more expensive but will last longer and will save you a lot of time by avoiding breakdowns and expensvive repairs and service centres. There are two ways of finding used engines for sale with engine finder. The first way is to use the form on our website or to contact our call centre with your request. Don’t forget to have your engine number and year or model of your vehicle handy. This helps our suppliers locate the correct engine for your car. one we receive your enquire you all replies from different suppliers. https://www.roverspares.co.za/ – Used Land Rover Spares in South Africa.